Realtime Gaming (RTG) is well known in the field of gambling. For more than 20 years, the manufacturer has been producing high-quality games, pleasing its players. This is one of the largest American developers, which began its work back in 1998. At the moment, the company has released over 300 quality games. The head office of the manufacturer is located in Hong Kong. The software, produced under the Realtime Gaming brand, is produced by qualified specialists, which allows guaranteeing the highest quality. Slots from RTG have exclusive features that make the gaming experience even more fun and profitable. One of them is Feature Guarantee. This feature ensures the activation of at least one bonus feature during the game. 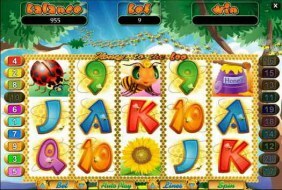 There is a prize feature provided in games with a progressive jackpot called the Boiling Point Jackpot – a limit of accumulation of funds is established for each device. Having reached it, the user is guaranteed to win the jackpot. Video slots from Realtime Gaming also have a feature called Jackpot Pyramid when you need to accumulate bets made by on different slots. All of the features mentioned above are registered trademarks of RTG and may be used only in the products of this brand. Most slots of Realtime Gaming are games with 5 reels. Among the icons are scatters, wild symbols, and other icons with additional functions. The most common prize functions are free spins and bonus rounds. There is also a progressive jackpot in many games. RTG pleases gamblers with a variety of genres. It’s no secret that most players give preference to classical developments. The portfolio of the company has a huge number of slots on this subject. 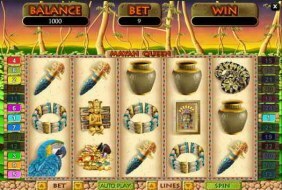 Fans of the historical genre are guaranteed to be pleased with slots such as Achilles, Aztec’s Treasure, Cleopatra’s Gold, Spirit of the Inca, and others. Players who prefer slots of nautical themes can appreciate games such as Crystal Waters, Mermaid Queen, and Megaquarium. 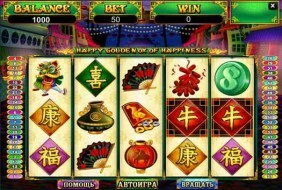 The eastern genre is represented by video slots such as Zhanshi, Super 6, and others. The listed games are only a small part of the wide and diverse portfolio of the manufacturer. Each and every gambler without effort will be able to find the game to his/her liking. The company was registered in 1998 in Atlanta. In 2007, the owner of the trademark was the company Hastings International, based in the Netherlands. At the moment, Realtime Gaming is headed by Daniel Schultz. For more than 20 years of successful work, the company has managed to prove the high quality of its products, and most importantly, to confirm compliance with all standards of fair play. A striking proof of this is the dizzying jackpot of 1.3 million dollars, which in 2004 was won by a lucky winner who chose to play the Caribbean 21 game from RTG. 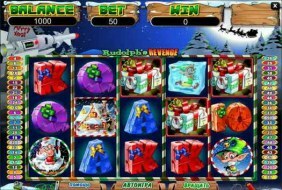 Today, the software of the company is used in leading ground-based and virtual gambling establishments. The Realtime Gaming company does not stop there. New games appear regularly in the manufacturer’s portfolio. RTG is one of the most recognizable brands on the gambling market, familiar to most experienced players.